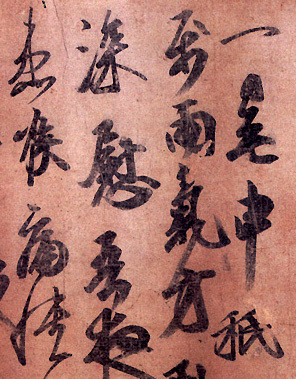 Although the style of calligraphy developed by Wang Xizhi and Wang Xianzhi was widely admired and practiced during their lifetimes, its continued influence on later calligraphers depended on the dissemination of original writings or reliable facsimiles to practitioners in other locales and to later generations. During the Sui Dynasty (589-618 AD) the monk Zhiyong, a seventh-generation descendant of Wang Xizhi, produced many copies of traditional Wang style writings for distribution among various temples throughout (modern day) Zhejiang province. Zhiyong was also the teacher of Yu Shinan, an assistant in the Palace Library at the Sui court who went on to hold more senior academic positions at the early Tang court under Taizong. The Tang emperor appreciated Yu's steadfast personality and extensive learning as well as his excellence as a calligrapher. It is important to note here that copying, in the history of both Chinese painting and calligraphy, does not carry the same pejorative connotation that it does in the European tradition, where the copy invariably stands in a subsidiary and inferior relationship to its original. Copying in China, on the other hand, was seen as a valuable educational tool, allowing the writer to model his writing stylistically, and more importantly, himself, on the character and intellect of the master calligrapher whose mode of writing he practiced. 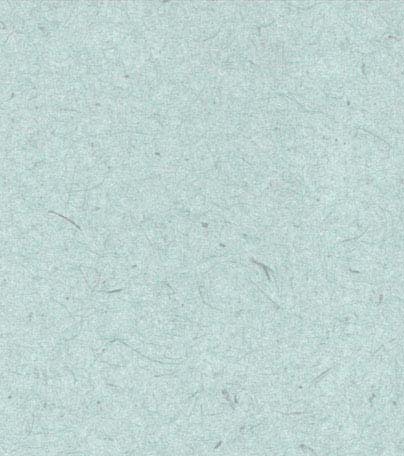 The example above is a detail of a letter by the late Six Dynasties Wang style calligrapher Wang Zhi (which we compared in the last section with earlier letter samples by Wang Xizhi and Wang Xianzhi). 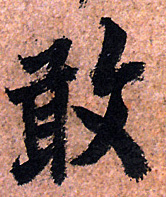 Many of those who carried on the Wang tradition in calligraphy were from the same geographical region (southern China). What factors, other than aesthetic ones, might have caused a particular style of writing to be widely admired and imitated? What aspects of Chinese philosophy or social theory may have contributed to this emphasis on traditions and lineages? Tang calligraphy is discussed here in terms of four main directions of its development: the court and the styles it favored, the adoption of other styles by literati, the continuing importance of copying religious texts, and the development of individualist styles.